There is more to giving than money. These 13 unique types of giving will help you feel happier, healthier, and more fulfilled without spending a dime. Giving much needed money and material gifts to deserving non-profits and charities is important. Such generosity promotes worthy causes, alleviates suffering and fuels action that helps make the world a better place. In addition to financial gifting, there are many other types of giving that benefit you and others when done with intention and a positive attitude. The thought of giving more than token amounts of our possessions or time brings up negative and positive connotations for people. It may feel like resistance, an energy drain. Just one more thing "I have to do" that I really don't want to do. Marketers understand this reticence. They understand that in order to get they have to first give you something you want. In exchange for your email address, your money, or your attention they give you a video or special report about relationships, money, weight loss. It is called "What's in it for me?" 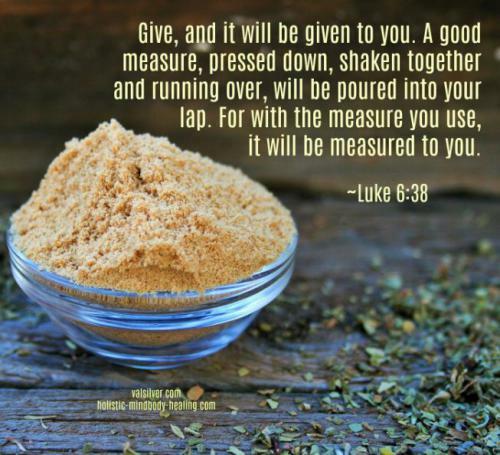 Give and you receive. Good for good. Evil for evil. That is the paradox of giving all kinds of gifts. 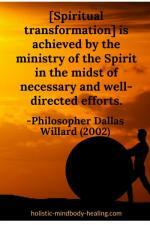 It is a spiritual principle shared by many faiths. Some call its cumulative effects karma. The greater your generosity from the heart, the more you receive. Maybe not right away or in kind but you do receive. Your immediate return on a heart-felt gift is a feeling of satisfaction, happiness, and interpersonal connection. 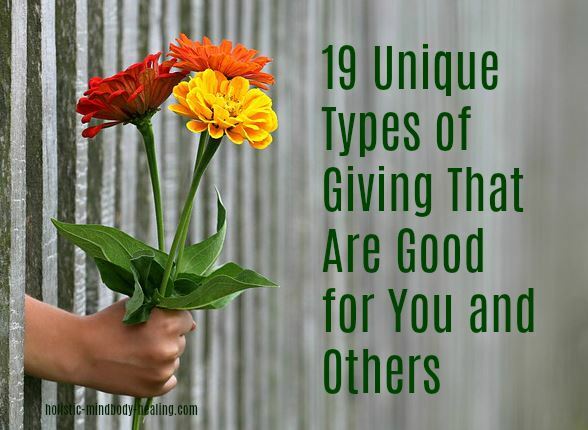 Here are a few samples of spiritual teachings related to all types of giving. The Buddhist dana paramita teaches the perfection of giving with pure motivation as a way to self-transcendence and enlightenment. Gifts bestowed without any expectation of appreciation or reward. This most important type of gift is beneficial to both giver and receiver and encompasses the next two types of giving. Performing one's religious duty, or dharma, toward family, society and all living beings. Providing food first to one's family and then to those beyond the family. This is also one's dharma. The Jewish Torah teaches that those who have the means to give to charity above the required ten percent should do so, not from ego, but as part of their duty toward those in need. The virtue of generosity and its effects on both giver and receiver in present and future moments are shared across religions worldwide. This isn’t spiritual woo-woo. Plenty of science proves the benefits of all types of giving. feeling happier and more fulfilled. feeling gratitude and appreciation for and from others. fostering social connection and cooperation. heightened senses of empathy, compassion, and love. The benefits of giving and kindness go hand in hand. These virtues are really two sides of the same coin. In addition to the benefits you personally receive, your example inspires others to give of themselves. The cumulative effect of many people participating in all types of giving makes the world a better place for all. Give in - Compromise when an issue isn’t a deal breaker. Let your spouse have the last word on which movie you watch or which restaurant you go to without an argument or eye rolling or sighing. Never compromise your morals and values. Give into your intuition and inner guidance. Listen to the still small voice inside and heed what it says. Listen to the wisdom of your heart and soul and those who have earned their wisdom through the years. Intuition is difficult to silence. It is not irrational fear but it may guide you in ways that seem irrational. A helpful way to access this wisdom is to close your eyes, place your hands on your heart and solar plexus and calm yourself with a few breaths. Then ask your question. Note any image, sensation, or words that immediately come. Give up control, judgment, blame, guilt, shame, addictions, health and relationship-harming habits, negativity, impulsive anger, and upset. Release false personas and beliefs that don’t serve your highest good. Stop always looking on the cloudy side of the street and calling it "being realistic". Let go of your head trash and stinking thinking. Forego relationships with people who drag you down instead of lift you up. You may experience short-term discomfort and conflict in the process, but in the long run it is best for everyone. Give back anything you have taken that does not rightly belong to you. Return your overdue library books. Return any items you took from a store or from someone in your family or workplace. If you cannot give an item back, find a way to make an equitable restitution. If that is not possible, make an equitable donation of your time or money to a worthy cause. Give latitude or leeway. Let people be themselves and do things their way. Agree to disagree. Be okay that someone folds towels differently than you or drives a few miles slower than the speed limit. Letting go of rigid thinking is a great stress reliever for all involved. Give empathy. Understand and share in the feelings of another, human and non-human alike. Put yourself in their situation. Feel it. Empathy is not sympathy. Give sympathy to someone who is hurting, and go deeper by empathizing with them as well. You feel as if it were happening to you and use that empathy as a basis for your next step of showing mercy, compassion, and/or support. Give mercy. Show compassion or forgiveness toward someone you have the power to punish or harm. Practice ahimsa, meaning you do not purposely harm yourself, other humans and other beings, nor do you allow others to cause them harm on your behalf. Give compassion. Show concern and sensitivity for the suffering of human and nonhuman beings. True compassion is more than a feeling. It propels you to act to relieve the suffering of another. It puts the human in the word humane. Sometimes, you may do well to show yourself compassion. Give kindness. Be friendly, generous, and considerate. Be spontaneous in your kindness as your spirit and intuition guides you. Help others and do something to brighten their day. Be kind to yourself, too. Give acceptance of yourself and others as you are. Don’t discriminate based on race, color, creed, weight, age, gender, species. Live and let live. I’m okay, you’re okay. Acceptance doesn’t mean you close your eyes to evil and wrong. It means you acknowledge the human condition. You seek to help yourself and humanity evolve in the energy of love, not judgment. Give thanks. Express gratitude and appreciation for who you are and what you have, for the people who share their lives with you. Give thanks for your blessings and for the difficult times that teach you lessons that make you a wiser, better, happier person when you come out on the other side. Thank your waitress, the store clerk, and anyone who helps you or shows you a kindness whether they are just doing their job or not. Keep this question in mind: "What would you have tomorrow if you could only have what you gave thanks for today?" Give blessings. Bless the animals in your yard, your family, friends, and co-workers. Bless and pray for those in positions of authority whether you like them or not. Bless and do not curse. Bless your food before you cook and eat it. Offer blessings in your prayers and out loud. Bless others when they sneeze. Wish people well when they come into good fortune and mean it. If you find yourself feeling jealous of someone, stop yourself and bless them instead. Be generous with praise and encouragement. Give love. Unconditional love is one of the most healing forces on Earth. It is a feeling and much more than a feeling. It is inherent in all genuine types of giving from the heart. Offer, mercy, caring, kindness, compassion, acceptance, and support to yourself and others. Regularly give your loved ones the ultimate gifts of your undivided attention, time and affection with no strings attached. Give forgiveness to yourself and other for perceived and actual wrongs. Forgive yourself for judging and grudge-holding. Learning to forgive yourself makes it easier to forgive others. Give respect to those in authority over you whether you like them or not. Respect their position if you cannot respect the person. Pretend it were you in that position, doing your best (hopefully) and having dozens, thousands, millions of people publicly bashing and hating on you because your ideas do not agree with theirs. Teach your children to respect those in authority, starting with you, their parents. Take responsible, respectable action against their policies if you feel it warranted. Respect the rights and dignity of others. Respect the right of all creatures to live according to Nature's design for them. Give peace. 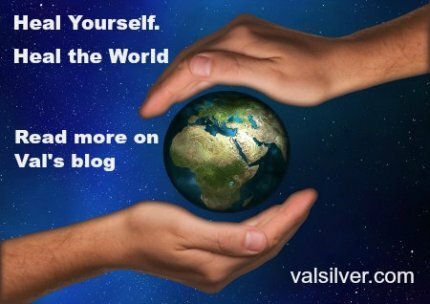 World peace starts with you. It starts inside you, in your heart and home. Peace begins and war ends in our collective individual hearts. Be the one who refuses to start or engage in conflict (not self-righteously or that will fuel the fire). Settle conflict amicably without automatically becoming hostile and defensive. Listen to what the other person is saying and understand their point of view before responding. Offer the olive branch of harmony in your heart, home, and community. I find the ho'oponopono prayer remarkably helpful and healing when someone pushes my buttons. Repeat the words over and over with intention until the trigger is neutralized. Give attention. Look people in the eye when they talk to you. Put away your cell phone and turn off the TV. Listen thoughtfully. Be mindful as you do your tasks. Focus on what you are doing. Give your time and energy to causes you care about. Volunteer, fund raise, sign petitions, speak up for the voiceless. Spend quality time with your loved ones. Give away stuff you don’t need. Unclutter your home and pass along clothes and items in decent shape to the needy. Give sample size shampoo and soap to your local womens' shelter. Animal shelters appreciate worn blankets and towels. And yes, Give money to local as well as national organizations. Do your due diligence to make sure they are fiscally responsible. Every dollar counts when combined with the gifts of others. All types of giving with positive intention are important. Even a simple heartfelt smilecan make all the difference to someone. I learned this lesson through the true story of a teen who was on her way to kill herself. She changed her mind because a passing stranger smiled at her. You may not always be aware of the impact your gifts have on another, but be sure that, for better or worse, all types of giving create ripples in the universe. The Earth and her beings are in need of many good ripples right now. 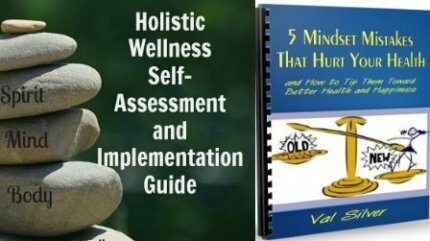 Give good gifts that foster spiritual wellness and healing in yourself and others. Every good bit you do helps make the world a happier, better place for all of us. Across the planet, people offer prayers for healing to the God of their understanding with the hope that they and their loved ones will be spared.. Learn 8 meridian therapy energy exercises to help you balance the flow in your body meridians. Have your say about what you just read. Post a comment in the box below.